Welcome and thanks for visiting the Head Hacker website. 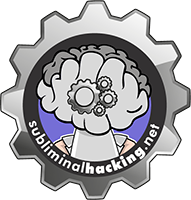 The goal of this site is to discuss the benefits, process, theories and qualities associated with social engineering, and what I consider to be linked skills, products and theories. So obviously we are going are going to discuss social engineer and the spy and tech tools that we can use once we are in, but we are also going to discuss other skills that you should be aware of, and you can add to your brain toolkit to increase chances of success and take tests further. We will look at Neuro Linguistic Programming, Hypnosis, Influencing and Manipulation skills, methods of Misdirection, Mentalism, Cold Reading and more. I will also mention some possible Magic that may come in handy as part of recon, and relationship building. The content is going to be based on my experiances, research, thoughts, theories and discussions with other practioners in the various industries. Feel free to add comments to topics, ask questions and make requests. I hope you enjoy the content as it develops and grows over time.